In 2016 “Ariana” and our agency started a campaign that had to improve the image of the brand and to achieve consideration through credibility in taste and quality. 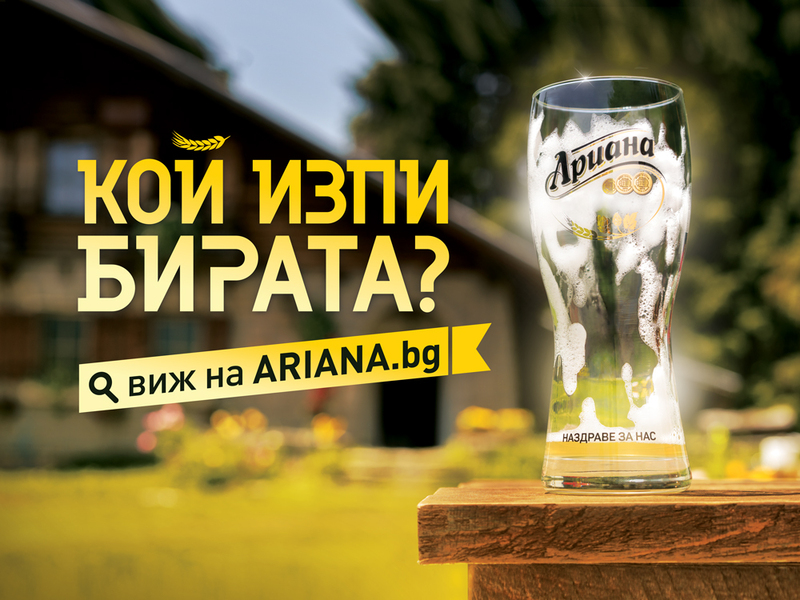 The main effects of the summer promotion should position “Ariana” as the most drinkable high quality beer, making it a trusted choice of beer through some kind of emotional bond with the consumer. 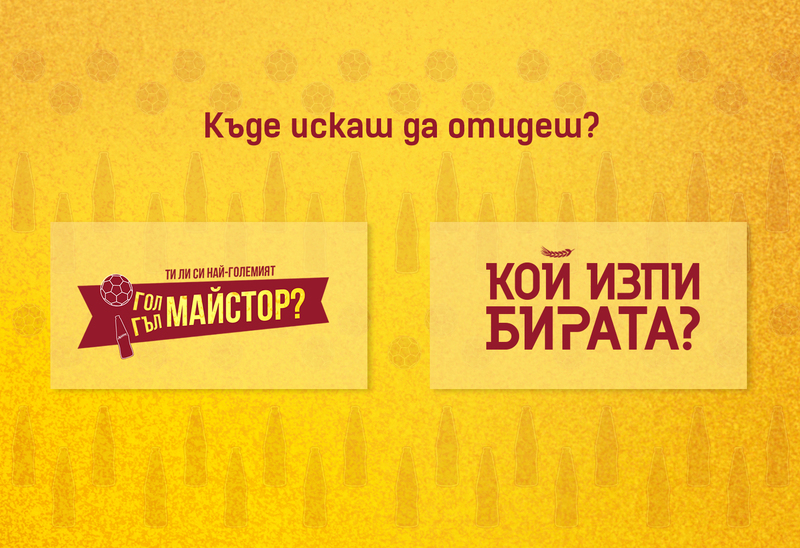 A multi-media game that used several communication channels – OOH, digital and TV. It was like a solving a “crime” – the game started with a TV spot that shows a simple situation. A group of friends are in a mountain lodge, one of them opens a bottle of “Ariana”, there’s a little problem with the barbeque and after that the bottle is empty. So the question is: “Who drank the beer?”. There was a special site in which everyone could vote, try to guess who drank the beer and even win an award. The TV spots continued with confessions of the other people who were there, and every one of them said they didn’t drink the beer. 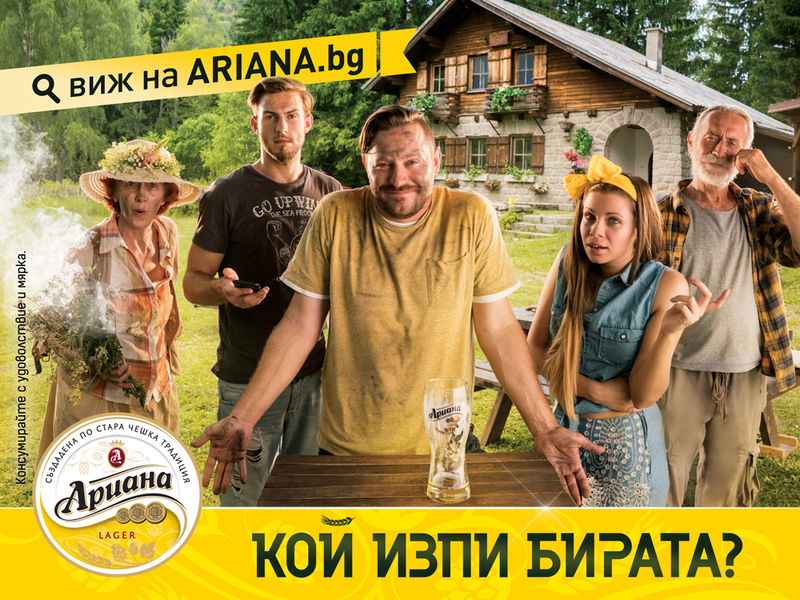 Ariana – Who Drank the Beer? The campaign was very well perceived, had a positive effect and generated buzz both on and offline – the phrase caught and was used widely.